For gutter cleaning in Warner Robins, there is really only one solution – Integrated Power Washing. A local company, Integrated Power Washing has served the Warner Robins area with superior gutter cleaning and pressure washing services for years, helping hundreds of clients keep their homes and businesses looking new. 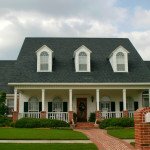 Why get a gutter cleaning Warner Robins? Well, for one thing, gutter cleaning is a cost-saving measure designed to prevent you from expending large amounts of money down the road on very costly roof or gutter repairs as a result of drainage issues caused by dirty gutters. Keeping your gutters clean and free of debris will allow the gutters to function as they are supposed to, with free-flowing water and debris to add years to the life-span of your home’s gutters and roof. Take advantage of the benefits of gutter cleaning, call Integrated Power Washing now at 478-832-1979.